Grab your five-string banjo and get ready to frail! 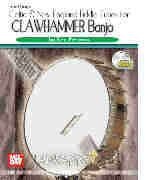 Bob covers all the basics of traditional clawhammer style in this 2 DVD set. Download now from PlayBetterBluegrass.com!